FREE for a limited time when you book your engagement or wedding ring project! Let’s see if we are a match to work together on a no obligation Design Call…. I LOVE this customized engagement box! I’ve handpicked and partnered with the creators of all the products inside this special gift and put them together in a custom shipping box with our logo. AND…a $50 gift card from me to be used toward an engagement or wedding ring, or any fine jewelry purchase. I’m basically giving you the cost of the entire box for FREE with this gift! Everything is wrapped in beautiful paper and shipped right in our custom box! 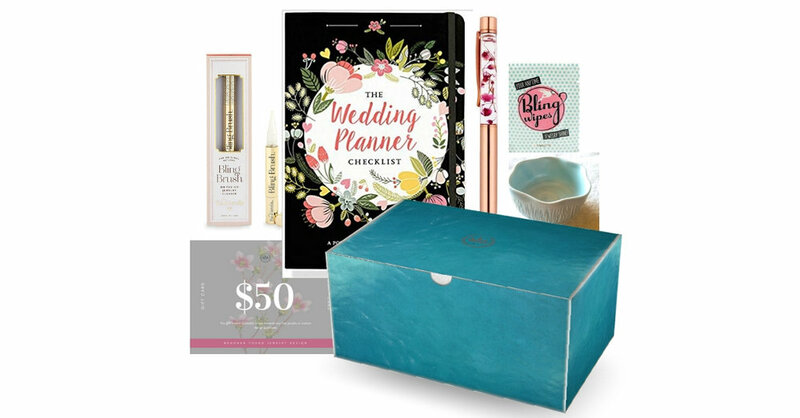 This is a perfect gift for any bride to be, wife, or just because!